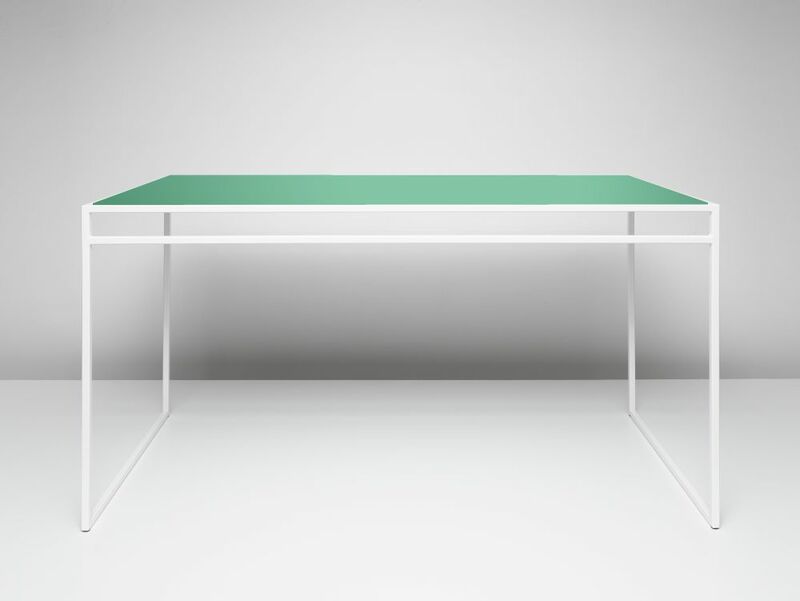 The Moreno Table's beauty comes from its simplicity. Now available with a bright green acrylic top, it has been given a fun and sporty twist. The frame is powder coated steel and then is topped off with bright green acrylic top. This design is a great desk or small dinning table.